Reducing the latency (delay) of network traffic between locations has been the focus for financial firms engaged in high-frequency trading for several years, but this is also a goal for gaming companies as well. In a series of blog posts, Riot Games discussed how they have designed their own latency-optimized network. When linking destinations around the world, comparing the latency of the various submarine cables is critical. Submarine cables are laid to follow precisely designed routes that avoid major fishing areas, anchoring zones, sensitive environmental areas, and earthquake-prone locations. As a result, the latency on submarine cables varies considerably, given the fact that no two cables follow the exact same path. In this chart you can see that the latency on trans-Atlantic cables can vary up 30 milliseconds. 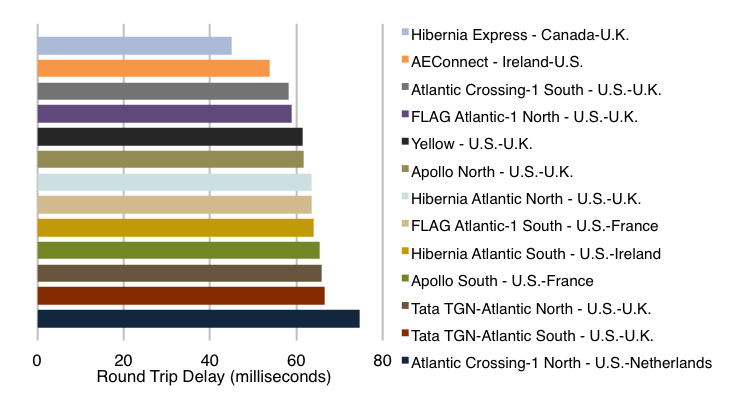 Hibernia Express and AEConnect, both of which entered service in the last six months, provide extremely short paths across the Atlantic. 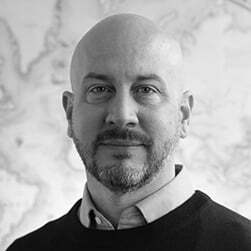 Ultimately, customers seeking the lowest-latency paths between specific locations must also consider the sum total of the latency from backhaul between submarine cable stations to data centers, and not just the subsea portion of the route. Our Global Bandwidth Research Service provides latency data for many of the world's submarine cables. The service covers the global wholesale network market and will be fully updated in mid-April. Find out more here.